The power of a grandmother. 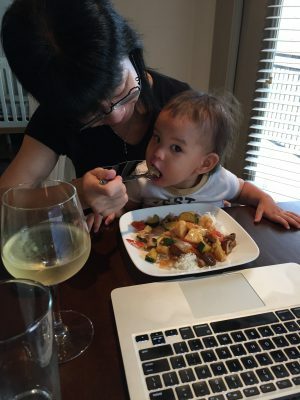 She has gotten me to eat things that nobody has gotten me to eat – before and since. Here I am happily eating honeydew melon (I hate cut up fruit). And here I am, visiting her right before my bedtime. And her dinner looked so good that I insisted on a second meal for myself. I ate nearly all of her dinner. Mommy couldn’t get me to eat that much food if she tried. These never fail to satisfy me. These are made with fairly clean ingredients, but because they still do contain cane sugar, I only get these as a treat once in a while or for breakfast if I have to eat in the car (minimal mess). 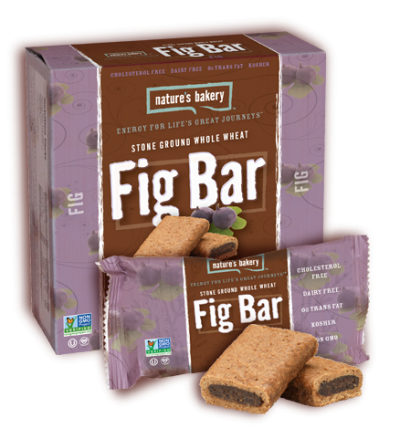 I ADORE these fig bars. Funnily enough, mommy tried to get me to eat a Larabar the other day because they’re healthier, but I tried one bite and gave it back to her. #fail So she keeps these stocked at home but wisely out of my reach and sight.